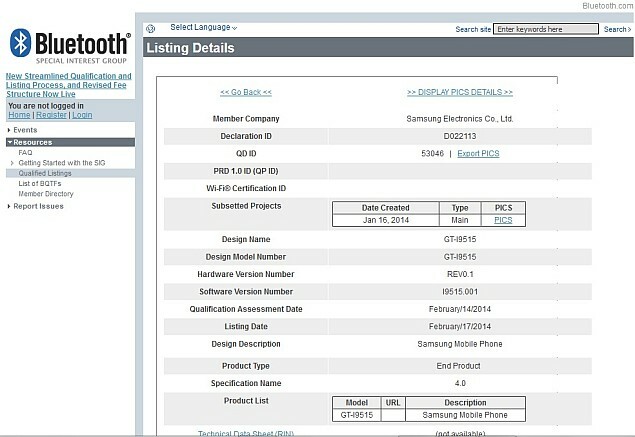 Samsung is not yet done with its Galaxy S4 smartphone as an alleged new ‘lite’ variant, the device rumoured to be the Samsung Galaxy S4 Value Edition, has been spotted at the Bluetooth SIG certification authority. Samsung, besides giving some final touches to its Galaxy S5, is reportedly working on the Galaxy S4 Value Edition, which is said to come in more colour variants and would be running on Android 4.4.2 Kitkat OS out of the box. The device spotted at the Bluetooth SIG certification site is codenamed SM-I9515, the Galaxy S4 Value Edition handset will reportedly feature a 5-inch full HD screen and a 1.9GHz Snapdragon 600 processor. The Galaxy S4 Value Edition will also arrive in Black, White, Brown, Pink, Purple, Red and Blue colour-variants. It is also possible that the smartphone might also sport a faux-leather back panel, seen previously on the Samsung Galaxy S4 Black Edition, Galaxy Grand 2 and Galaxy Note 3. Talking about Samsung Galaxy S4, the firm on Tuesday, added its fourth new variant for its existing Galaxy Core smartphone dubbed as Samsung Galaxy Core 4G. The Samsung Galaxy Core 4G’s price has not yet been revealed, though Samsung did announce the smartphone will soon be available in Europe, Russia and some parts in Asia. Featuring the model number SM-G386F, the Galaxy Core 4G runs on Android 4.2.2 Jelly Bean OS out-of-the-box with no word on where it will receive an Android 4.4 KitKat update. The smartphone’s screen size and quality, as compared to its first-gen Galaxy Core handset, is bumped up from 4.3-inch display with WVGA resolution to 4.5-inch PLS display with qHD resolution. This entry was posted in news/articles and tagged Galaxy, Galaxy S4, Galaxy S4 Value Edition, S4, samsung, samsung galaxy s4, Samsung Galaxy S4 Value Edition, Value Edition. Samsung has added its fourth new variant for its existing Galaxy Core smartphone dubbed as Samsung Galaxy Core 4G, which will now be able to support 4G LTE networks. The Galaxy Core 4G is powered by a 1.2GHz dual-core processor paired with 1GB of RAM. The camera connectivity options include a 5-meapixel rear and a VGA front-facing camera. With a built-in 8GB storage, users can expand it up to 64GB via microSD card. The handset, besides LTE connectivity, will also support, GPS, Wi-Fi b/g/n, Bluetooth 4.0, USB 2.0 and NFC. The Galaxy Core LTE will be backed by a 2,100mAh battery and will be available in Black and White. The device will also feature Samsung’s Motion UI, Google+, Google Talk, Google Maps and the firm’s native ChatOn messaging service. The Galaxy Core 4G is sized at 132.9 x 66.3 x 9.8 mm in dimensions, which makes it slightly thicker than the first-gen Galaxy Core (129.30 x 67.60 x 8.95). Before the introduction of Galaxy Core 4G, the Korean tech firm has also introduced Galaxy Core,Galaxy Core Advance and Galaxy Core Plus. This entry was posted in news/articles and tagged 4G, Galaxy, Galaxy Core, Galaxy Core 4G, Galaxy Core LTE, samsung, Samsung 4G, Samsung Galaxy Core 4G. The Samsung Galaxy S5, contrary to earlier reports of featuring a screen-integrated fingerprint sensor, is now reported to feature an implementation similar to Apple Touch ID sensor on the iPhone 5S, embedded in its home button. Sammobile reports that the Samsung Galaxy S5 handset, though having a home button fingerprint sensor, will be a little different than that seen in iPhone 5S. The users would need to swipe their finger from base to tip against the home button. The handset will also show a real-time image of the user’s finger on the display when swiped. It has been also reported that the rumoured fingerprint sensor will be sensitive to moisture which means that it will fail to work with wet fingers. It is also being said that Galaxy S5 will include some scanning-related features in its customised Android KitKat offering. Users will apparently be able to register up to eight fingers, with one of them used for unlocking the handset. A new private mode will reportedly also be introduced, which will include the user’s personal folder, accessible either by fingerprint access or a PIN. It has been also made clear that Samsung Galaxy S5 will not be featuring any on-screen buttons. 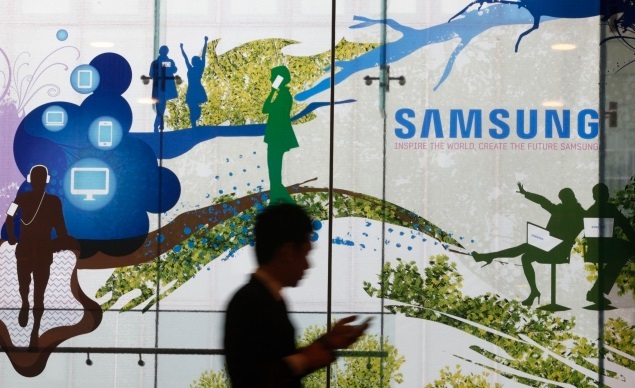 While the report quotes insider sources, fans do not have to wait much as we are now less than a week away from the 24 February MWC 2014 event, where the Korean tech firm is expected to introduce the Galaxy S5 smartphone. Samsung Galaxy S5’s recent purported leaked screenshot indicated the handset will feature a QHD (1440×2560 pixel) resolution along with a 560ppi pixel density, all packed in a 5.2-inch screen. Details can be seen here. An alleged leaked image of the Samsung Galaxy S5 retail box packing was also spotted on the Internet in February. The leaked retail box image of Galaxy S5 suggests the smartphone will sport a 5.25-inch QHD (1440x2560pixels) Super AMOLED display, 2.5GHz quad-core processor, 3GB RAM and a 20-megapixel rear camera with a 2-megapixel front shooter. The image also indicates the Galaxy S5 will feature a 3000mAh battery and run Android 4.4 KitKat OS. This entry was posted in news/articles and tagged Fingerprint, Galaxy, Galaxy S5, Galaxy S5 Fingerprint, S5, samsung, Samsung Galaxy S5, Samsung Galaxy S5 Specifications. Samsung has officially launched two new tablets in India, the Samsung Galaxy Tab3 Neo and Galaxy NotePRO, priced at Rs. 16,490 and Rs. 64,900 respectively. Both devices are expected to be available by the last week of February or early March 2014. Notably, the Galaxy Tab3 Neo tablet comes in two variants, Wi-Fi and 3G. 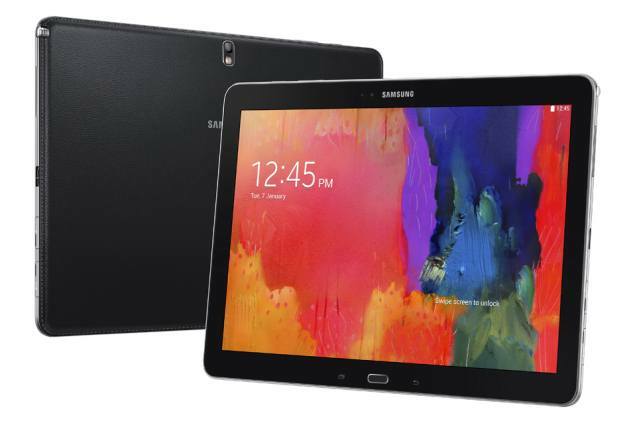 The 8GB Wi-Fi variant of the Samsung Galaxy Tab3 Neo has been priced at Rs. 16,490. Samsung has not detailed the availability or pricing of the 3G model. While the Samsung Galaxy NotePRO is available with various connectivity options – Wi-Fi Only, Wi-Fi and 3G, or Wi-Fi and LTE – Samsung has launched the Wi-Fi and 3G 64GB model in India, which features the priced at Rs. 64,900 price tag. Samsung Galaxy Tab3 Neo runs Android 4.2 Jelly Bean out-of-the-box with Samsung TouchWiz UI on top. It features a 7-inch WSVGA (600×1024 pixels) display. The Galaxy Tab3 Neo tablet is powered by a 1.2GHz dual-core processor alongside 1GB of RAM. It comes with 8GB inbuilt storage, which is further expandable up to 32GB with the help of microSD card. The Galaxy Tab3 Neo sports a 2-megapixel rear camera, while there is no front-facing camera. The rear camera also comes with features like Smile Shot, which automatically shoots when smile is detected; Shoot and Share that allows users to share images, and Panorama Shot that offers wide-angle view of a landscape. The Galaxy Tab3 Neo packs a 3600mAh battery which the company claims can deliver up to eight hours of video playback. The Samsung Galaxy Tab3 Neo comes with 193.4×116.4×9.7mm dimensions and weighs 310 grams. Connectivity options on the Galaxy Tab3 Neo tablet include Wi-Fi, Wi-Fi Direct, Bluetooth, Micro-USB, GPS/ AGPS, GLONASS and 3G (for the variant not available as yet). Some of the preloaded apps on the tablet include Chrome, Gmail, Google+, Maps, Play Books, Play Movies, Play Music, Play Store, Hangouts, YouTube, Samsung Apps, Samsung Hub, ChatON, Dropbox, Polaris Office, and Flipboard. The other tablet launched, is a high-end one, first introduced at CES 2014. 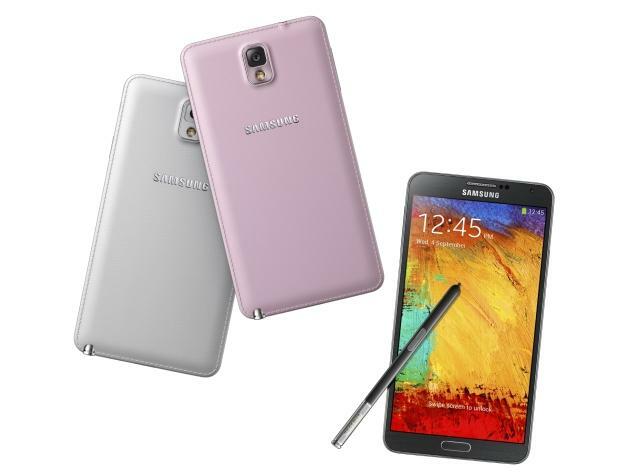 The Samsung Galaxy NotePRO (12.2-inch) runs Android 4.4 KitKat out-of-the-box with S Pen. It features a 12.2-inch WQXGA (2560×1600) Widescreen (16:10) LCD display. The Galaxy NotePRO is powered by Exynos 5 Octa processor (a 1.9GHz quad-core and 1.3GHz quad-core AP) clubbed with 3GB of RAM. It includes 64GB of inbuilt storage, with an additional 64GB expandable storage via microSD card. The Galaxy NotePRO tablet sports an 8-megapixel rear autofocus camera with an LED flash and also houses a 2-megapixel front-facing camera. The tablet packs large 9500mAh battery, with no word on standby time. The tablet measures 295.6x204x7.95mm and weigh 750 grams (Wi-Fi) and 753 grams (3G/LTE). Samsung Galaxy NotePRO multi-window (pictured above) now supports up to 4 windows on the screen at the same time. Samsung has also incorporated Webex integration for the tablet in which E-meeting lets you host a meeting with up to 20 people over Wi-Fi where you can collaborate in real time. Also onboard the Samsung Galaxy NotePRO is the personalized Content Home feature, which enables users to organize favourite content in an easy-to-use dashboard with automatic feeds and news updates. This entry was posted in news/articles and tagged android, Galaxy, Galaxy NotePRO, Galaxy Tab3 Neo, jelly bean, KitKat, samsung, Samsung Galaxy NotePRO, Samsung Galaxy NotePRO launch, Samsung Galaxy NotePRO price, Samsung Galaxy NotePRO specifications, Samsung Galaxy Tab3 Neo, Samsung Galaxy Tab3 Neo launch, Samsung Galaxy Tab3 Neo price, Samsung Galaxy Tab3 Neo specifications, tablets. Looks like Samsung is planning to soon introduce three new tablets in the market, as some rumoured specifications are doing the rounds online about a new Galaxy Tab 4 series. 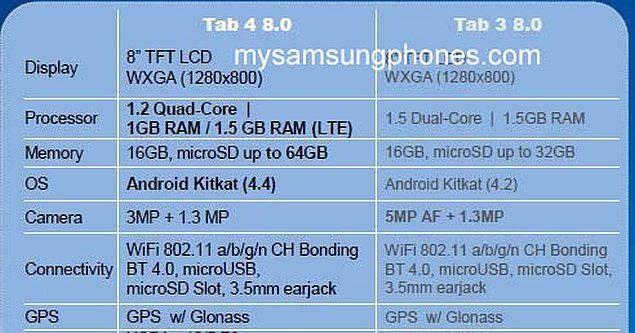 The yet-to-be announced Samsung Galaxy Tab 4 tablets are said to feature three variants each for Wi-Fi only, 3G, and LTE connectivity. Some of the common software and hardware specifications reportedly shared by the alleged tablets are Android 4.4 Kitkat OS, WXGA (1280 x 800 pixels) display resolution, 1.2GHz quad-core processor, Wi-Fi 802.11 a/b/g/n, Bluetooth 4.0 and GPS/Glonass and 320 grams of weight. No pricing and availability details for the tablets have been disclosed as of yet. The yet-to-be-announced Samsung Galaxy Tab 4 (7.0), thought to be codenamed Degas, is rumoured to sport a 7-inch TFT LCD display. The handset will also include 1GB of RAM. The camera options of the handset feature a 3-megapixel rear and 1.3-megapixel front-facing camera for video-calling purposes. The device will arrive with built-in 8GB storage, which can be expanded up to 64GB via microSD card. The Galaxy 4 (7.0) is backed up by a 4450mAh battery, measuring 106 x 187 x8.9mm in dimensions. The rumoured Samsung Galaxy Tab 4 (8.0), thought to be codenamed Millet, is expected to sport an 8-inch TFT LCD screen. The tablet, besides being said to feature 1GB of RAM for the 3G and Wi-Fi models, and 1.5GB of RAM for the LTE model, is expected to come with 16GB of built-in storage. The built-in storage can be further expanded up to 64GB via microSD card. The alleged Galaxy Tab 4 (8.0) is said to come with the same camera options (3-megapixel rear and 1.3-megapixel front) as the rumoured Galaxy Tab 4 (7.0), and will reportedly be backed up by a powerful 6800mAh battery. The device is said to measure 123 x 210 x 7.95mm in dimensions. The alleged Samsung Galaxy Tab 4 (10.1), said to be codenamed Mattise, is expected to come with a 10.1-inch TFT LCD screen. The tablet, like the Galaxy Tab 4 (8.0) LTE version, will reportedly come with 1.5GB of RAM for all three variants, alongside 16GB of built-in storage (expandable up to 64GB). Galaxy Tab 4 (10.1) is said to include an 8-megapixel autofocus rear camera and a 2-megapixel front-facing camera. The whole device is backed up by a 6800mAh battery. The device measures 243 x 176 x 7.95mm in dimensions. This entry was posted in news/articles and tagged Galaxy, Galaxy Tab, Galaxy Tab 4, samsung, Samsung galaxy, Samsung Galaxy Tab, Samsung Galaxy Tab 4, Tab. Samsung’s much-anticipated smartphone, the Galaxy Grand Neo, has been listed on the Samsung Jordan website, along with the handset’s specifications. The Galaxy Grand Neo has not been given a price yet, though the smartphone quite obviously falls into the mid-range segment based on the specifications. The availability of the handset is only shown for the city of Amman as of yet. Samsung Galaxy Grand Neo’s Android version has not been mentioned on the official page but,based on previous rumours, the handset is expected to come with Android 4.2 or 4.3 Jelly Bean. 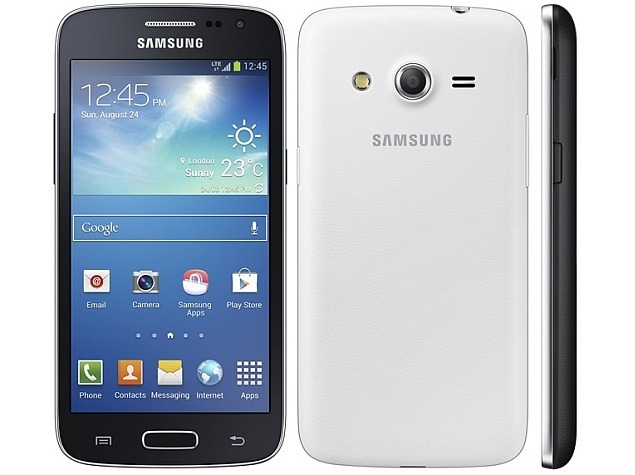 The device is also known as the Galaxy Grand Lite in some regions, with the model number GT-I9060 common for both. The smartphone also supports dual-SIM with no word on dual standby functionality. The Galaxy Grand Neo features a 5.1-inch TFT screen with WVGA (800 x 480 pixel) resolution. An unspecified quad-core processor clocked at 1.2GHz powers the device alongside 1GB of RAM. The camera options for the handset includes 5-megapixel rear and a VGA front-facing camera. Galaxy Grand Neo also features LED-flash support and auto-focus feature for the rear shooter along with the 720p video recording capability. 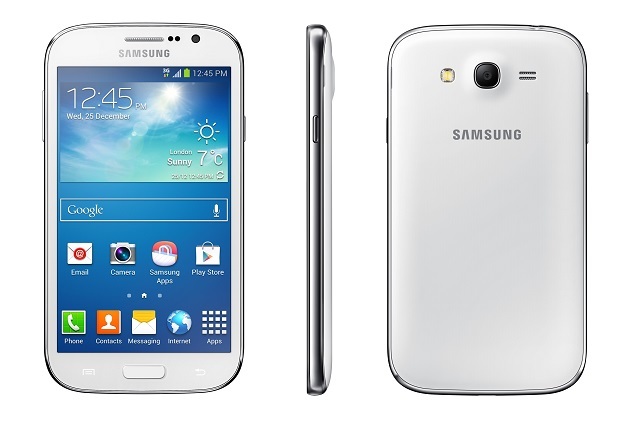 Samsung Galaxy Grand Neo will arrive with a 16GB in-built storage, which can be expanded up to 64GB via microSD card. The handset also has a support for 3G networks along with Wi-Fi b/g/n (2.4GHz support), Wi-Fi Direct, Bluetooth 4.0 LE, GPS/AGPS and more under its connectivity options. The smartphone is powered by a 2,100mAh battery, which can run up to 8 hours on 3G Internet usage and up to 10 hours under Wi-Fi Internet usage. Samsung Galaxy Grand Neo measures 143.7 x 77.1 x 9.6mm in dimensions, and weighs in at 163 grams. Galaxy Grand Neo additionally features a multi-window functionality, which has been previously seen in Samsung Galaxy Grand 2 and Galaxy Note 3. The handset also comes with a modified one-handed operation keypad designed to make calls and send texts without using both the hands. While the Galaxy Grand Neo’s price remains unannounced, a Dutch online retailer is quoting an unlocked price of 260 euros, or roughly Rs. 22,200. This entry was posted in news/articles and tagged android, Galaxy, Galaxy Grand Neo, Grand Neo, Listed, Neo, Online, samsung, Samsung Galaxy Grand Neo. Samsung has quickly cleared the air regarding its Galaxy Note 3 third-party accessories issue, which were said to have become incompatible with the handset following the Android 4.4 KitKat upgrade, as part of a speculated policy enforcement that required Note 3 accessories to be Samsung certified. Previously, reports (our link) speculated that the third-party accessories for Samsung Galaxy Note 3would no longer run with the device after the recently released Android 4.4 KitKat update, that required authentic Samsung ID chips to be included on the accessories post the certification process, which enabling proper pairing. However, the Korean consumer electronics giant firm, a few hours after these initial reports, addressed the issue, saying that the customers can continue using the third-party accessories and the issue has no relation with the Android 4.4 KitKat OS. “To ensure a pleasant and smooth user experience with Samsung products for our customers, we recommend that only original accessories from Samsung are to be used. Of course, customers can continue to rely on third-party accessories. The full functionality of our devices and accessories, however, can only be ensured with genuine Samsung components, since only in this way it is certain that the equipment and accessories are perfectly matched. A correlation between the Android version 4.4 and the supposed incompatibility of third-party accessories does not exist,” stated the firm to All About Samsung, a German website. Recently, Samsung started rolling out the Android 4.4 KitKat to its Galaxy Note 3’s Exynos processor variant. It has been understood that the first country to receive the Exynos Galaxy Note 3 update will be Russia, followed by other regions in the coming weeks. The company is already rolling-out Android 4.4.2 KitKat for the Snapdragon 800-powered Galaxy Note 3 (SM-N9005), starting with Poland. This entry was posted in news/articles and tagged accessories, Galaxy, galaxy note 3, Note 3, Note 3 accessories, samsung, samsung galaxy note 3, thrid party.